25831 Sun City Boulevard Menifee, CA. | MLS# SW19001413 | Temecula, Murrieta, Menifee Homes for Sale & Property Management! DOES EVERYONE MOVING INTO A SENIOR COMMUNITY WANT TO DOWNSIZE??? NOOOOO!!!!! Sun City Civic Association TONS of Amenities, low HOA and low taxes. This home is perfect for that younger senior looking to buy a LARGE, OPEN, INSIDE AND OUTSIDE, home and make it their own!! seller has lived here for close to 25 years and loved and maintained it regularly. Outside large backyard s lovely oasis with large patio, numerous fruit trees and lots of privacy for your outdoor living. 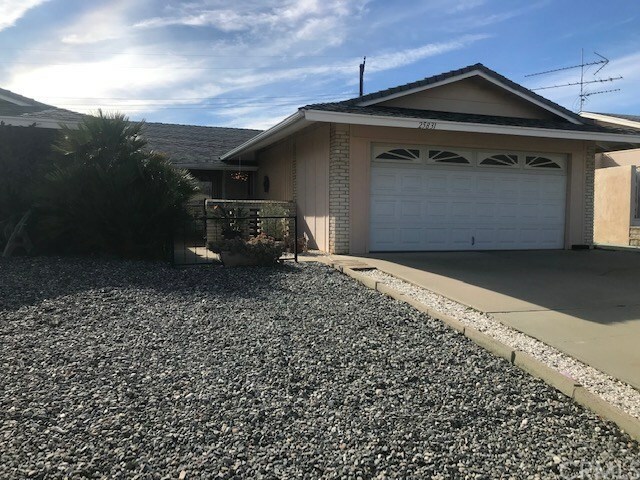 Inside 3 bedrooms, 2 full baths and 1 powder room, enclosed lanai, and 2217 square feet of space just waiting to be updated..flooring Laminate and tile throughout, very large kitchen with lots of cabinets and tile counter and bar/island opens into dining/family room space for your convenience. See this one today, will go fast!